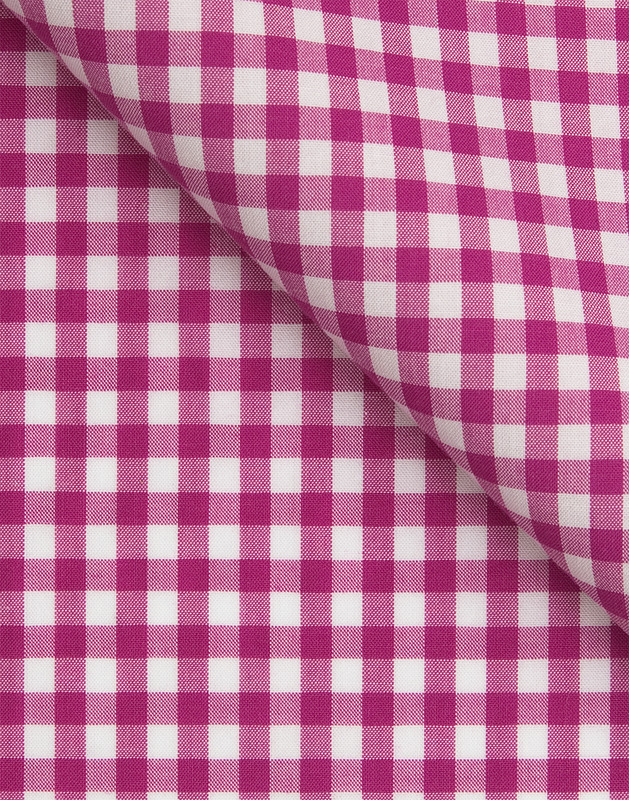 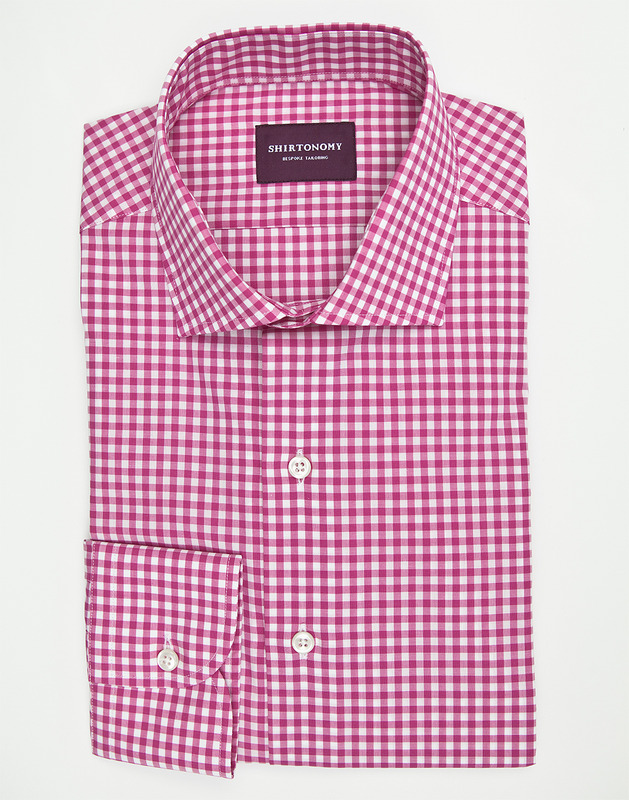 A mulberry colored, Gingham patterned shirt. 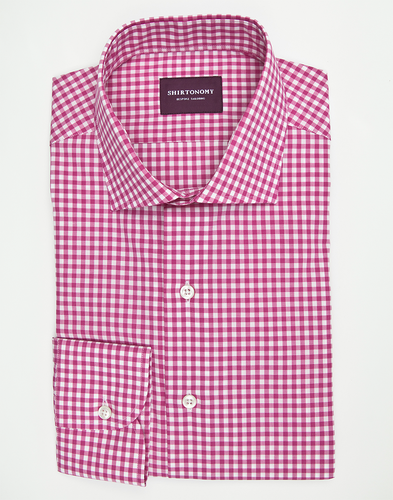 A colorful, yet tasteful stand-out from the stock standard wardrobes more restrained color assortment. 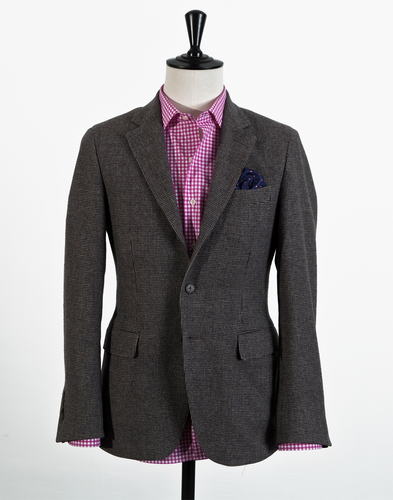 It can be combined with a toned down tie and jacket or works simply as it is. 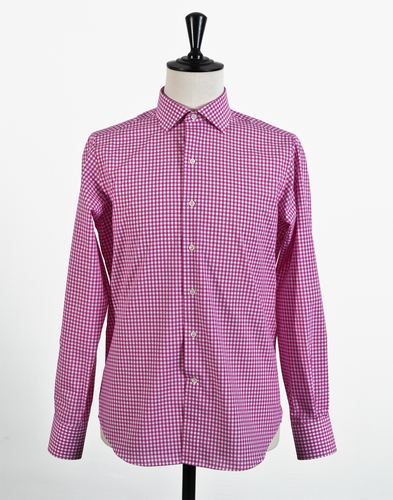 The fabric is woven in Italy and has a good resistence to wrinkles.